NeoRio offers thought-provoking art installations right on the rim of the Rio Grande gorge. Now in its 9th year, this annual event is truly a unique experience for the Taos area. The outdoor contemporary art and community event will take place at Montoso Campground at Wild Rivers in the Rio Grande del Norte National Monument on September 16, from 4-9pm. See google map to Montoso Campground HERE. Each year, NeoRio features a different theme. As a natural follow-up to last year’s focus on “Pollination,” this year’s theme is glorious and fascinating seeds; they will inspire the art installations and activities throughout the afternoon and evening. Not only are seeds essential to our survival, provide our food, and shape our world, they are also incredibly beautiful and mysterious sources of life. The miracle of seeds and the global importance of healthy seed diversity are driving forces of this year’s theme. It is also a local call to action to “get our own hands dirty,” plant our own seeds, explore, learn and perpetuate the valuable, cultural and agricultural practices of our local communities and learn about native plants and their roles in the ecosystems here, in Northern NM and beyond. The event will host two featured and and one contributing artist and projects, each approaching this year’s theme of seeds in a unique way. Statement: I like to sit still in one place for a long time and watch what unfolds around me. I see ants deconstruct the dead body of a dragonfly and carry the limbs off to their colony; I see a lizard recharge its blood on a rock in the sun; I see Ponderosa saplings peak up through a burned forest floor; I see leaf litter mold into infinity; I see the roots of a Creosote grow impossibly into a stone cliffside. These are ordinary miracles. The world’s ordinary miracles, hiding in plain sight, are our greatest teachers. My artwork is made with the desire to reveal these hidden miracles, silenced by their normality, by taking my viewers to sites of transformation. In order to arrive at shifting sites of transformation I use the vehicles of ritual, performance, and deep play, which find expressions in (bio)sculpture, video, weavings, photographs, and multi-media installations. I am calling for a hopeful recognition of seeing oneself in these ordinary miracles. If we can identify as changing beings interlinked to and through innumerable other shifting beings, then we can begin to realize that our commonalities are our transformations. These liminal commonplaces extend beyond geographies, cultures, races, or species. Within my art practice I aim to highlight these transformative sites, shifting between human and non-human audiences, mycelially bridging gaps between visibility and invisibility, so that these potentials are illuminated and might be harnessed for personal, ecological, and cultural renewal. A seed is a container of pure potential. Though inanimate in its sleepy seed state, its fullest and most realized state is as an animate being in the world. In order to make its transformation into the living realm, the seed waits until it has the right ingredients to alchemically transform its identity. When the time has come, the seed breaks open and goes through a tremendous morphological shift. At this time the seed is no longer a seed. It threshes off its hull and is born into a radicle – the plant embryo – and begins to simultaneously grow upward and downward, reaching towards the light while also rooting deeply into the soil. The story of the seed, with its radical breakthrough and subsequent multidirectional growth pattern, has shaped my artwork and has inspired me to cultivate similar moments within my own life. Embedded into my art practice are ideas that the deepest growth comes from these moments of threshing off the old, and that a great amount of potential can be harnessed from dissolution or decay. The piece presented in Seeds ~ Semillas is made with the intention to signify the moment of the radicle breaking free from dormancy, while also calling to the potentiality stored in material breakdown. The piece is made from dried flowers, soil, and other natural materials, and as it begins to fall apart the native seeds will be dropped in the swale below to grow in the spring. The piece will hang for most of the duration of the event, but will include a performative aspect of the pouches being untied by the viewers to release the contents of the pouches to the ground below. This is a gesture of an offering of the work of art to the ecology of Wild Rivers. Seeds and nutrients will fall into the swale dug out below, to hopefully germinate and bloom in the spring creating a small garden in the place where the piece once hung. A small scroll of paper containing a plant profile detailing the story of Aster and Goldenrods, along with their properties and uses, and instructions for untying the pouches will be handed to audience members throughout the night, which will indicate that they are to interact with the piece. Statement: As an artist I seek personal and collective journeys in place in order to explore how the environment shapes my creativity and how my imagination lends a voice for the environment. On each journey I intertwine my own narrative with the stories of the people and ecology in that place in order to make installations that embody a sense of non-linear meandering through time and place. My work is rooted in traditions of printmaking, which an emphasis on manipulations of materiality in paper, natural materials, fiber arts, and found objects. I use geographic structures as a metaphor for each installation and my current research and creative practice focuses on the Colorado River Delta. The Colorado River Delta once functioned as a marsh, wetland, and estuarine habitat in middle of the Sonoran Desert where fresh river water met the salty sea tides. In recent years the Delta dried up due to drought, development, agriculture, and international politics. Binational agreements stated in Minute 319 between the United States and Mexico campaigned for a “pulse flow” in 2012. The “pulse flow” mimics historic spring floods in order to recharge groundwater, boost plant growth, and disperse seedlings whilst supporting local community engagement in restoration, recreation, and tourism. The story behind the Colorado River Delta’s return to life exemplifies how collaborative efforts may embody the very definition of an estuarine habitat: a place of transition, creativity, and co-existence. Pulse Flow explores a place-based arts pedagogy as a method for building community around land and water issues through immersive experience and dialogue in a bioregion. I will embark on a journey in a handmade canoe through the Colorado River Delta to investigate a river that on its way somewhere; a somewhere that is constantly in flux. The notion of working towards an obscure destination with rests in uncertain and new places, as the Colorado River water does in its search for its Delta, epitomizes how I will creatively embody the Delta as a metaphor. The canoe, which is a waterproofed paper mache form, will contain printed images on the exterior and will gather residue of the journey. My efforts to find navigable water in the region will be part of the narrative and the damage and debris the the paper canoe collects over time will document the process. Work by NeoRio contributing artist, Geraint Smith will also be included in the event. 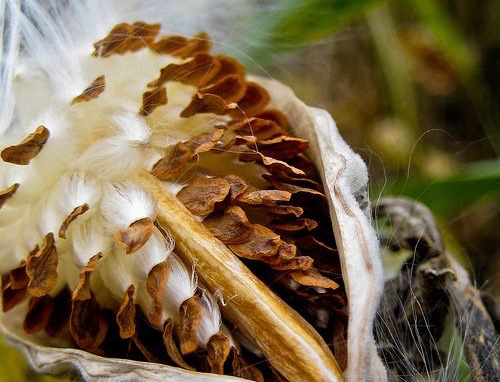 His beautiful photo transfer series on the milkweed plant and pods will be installed on site. Two of the beautiful works will be raffled-off to two lucky winners and others will be for sale. All of the proceeds from will benefit LEAP, thanks to Smith’s generous donation of his work. About work “Milk Weed” at NeoRio, he says: Milkweed, everywhere! At this time of year this humble plant exposes itself unabashedly to the countryside. The seeds, attached to the silky floss, are carried on the wind to the wild places where, this plant thrives. I like the fact that this plant cannot be tamed and readily cultivated, (Standard Oil tried); it is essential to to the existence of the Monarch Butterfly, and sans the Milkweed, no Monarch butterflies. Interesting note: the floss of the plant is used by the Ogallala Comforter Company in manufacturing hypo-allergenic comforters and to help protect the Monarch Butterfly’s habitat. During the afternoon, guests are invited to tour the art installations and projects and explore the family-oriented, hands-on “Seed Sensorium,” a collaboration with SEED Taos, as well as the “Questa Seed Exchange,” a collaboration with the Questa Library. The seed-inspired late afternoon (5 pm) poetry and music salon is also a new element of this year’s event, featuring a curated series of poems by Deborah Pender Hutchison and Gabrielle Herbertson with related musical interludes by Jonathan Hutchison. Music from the High Desert Acoustic Duo (Justin Dean and Mark Dudrow) will usher in the evening activities. Acoustic, alternative folk and Celtic fusion styles blend in original songs and up-beat interpretations of traditional Celtic and Americana tunes. Magical music on the rim of the gorge (or anywhere!). They are an event favorite, and have played at NeoRio for many of the past eight years it’s been going. Thanks, Justin and Mark! Enjoy a locally-sourced, northern NM Fall Feast featuring the Questa Farmers Market growers, cooks and bakers. The Feast is coordinated by Gaea McGahee, organizer of the Questa Farmers Market and contributors to the feast will be familiar faces to those who have visited the market this season. At dusk, on the heels of dinner, portable solar power provided by PPC Solar will allow NeoRio featured artists to offer short, informative, illustrated talks, giving behind-the-scenes looks at the onsite artworks and a brief visual tour of past works. Organized by LEAP (Land, Experience, and Art of Place) in collaboration with the BLM and others, this event celebrates National Public Lands Day, and is a great chance to discover the Wild Rivers area of the Rio Grande del Norte National Monument, or, see it in a whole new way. LEAP (a program of Local nonprofit Localogy) brings innovative artists to the monument each autumn, transforming the Montoso Campground with surprising, site-specific art amid the piñon and cliffs. This is a free event, though camping fees of $7/night per vehicle still apply. Donations to support LEAP are appreciated. NeoRio is made possible by individual donations, local business sponsorships and generous support from the Questa Economic Development Fund, Chevron Questa Mine Community Fund, Taos County and others. To volunteer, make a donation or find out more about NeoRio, call Claire Coté at 575-224-9066.